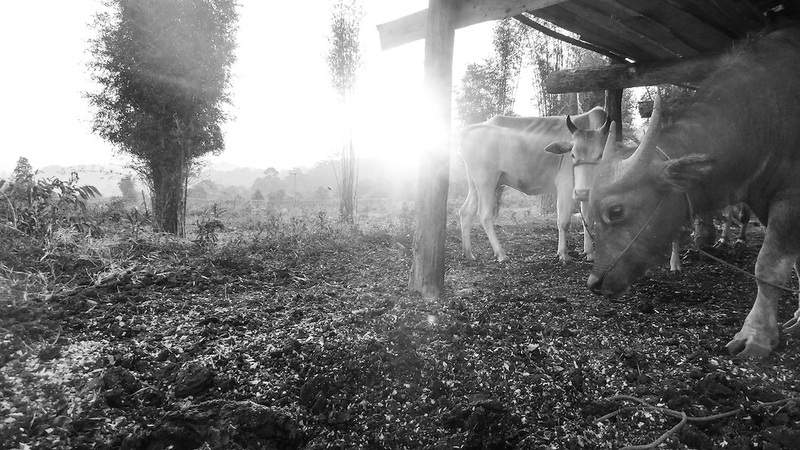 The Farm, Thailand, by Nukul. This location is of a farm located in the jungle. Nukul finds this place beautiful. She appreciates that the farm animals are allowed to stay together. Nukul is now 27 years old. She has a baby who called Nu Nu and he is 3 years old. Nukul is from Pong Lam Rang, a Karen village in the mountainous Mae Wang district of northern Thailand. She travels home to her native village as often as she can in order to visit her family. I would love to travel to many places on Earth to take beautiful pictures. Nukul enjoyed her experience with ‘Lensational’ that gave her the opportunity to take a camera back to her village and take shots of her son and the things that she experienced. Through the lens she discovered the love of cobalt blue, white and black. She learnt how to use various stylistic filters, such as Tilt-Shift which she is now able to select critically when approaching her subjects.